Both Forsyth and Ballwin locations! Taste our next 35th Anniversary Collaboration! 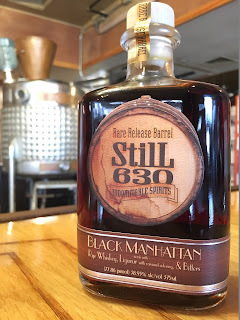 A barrel aged cocktail by Still 630 here in St. Louis! We supplied a 15 gallon freshly dumped bourbon barrel. Mixologist, Jeffrey Moll, created the recipe and David and I filled the barrel. We then let it age for about 6 months. It is bottled and will released next week. Production will be very small since it was only a 15 gallon barrel. "This barrel-aged cocktail uses Jeffrey Moll's recipe for a Black Manhattan. Replacing vermouth with Amaro and aging in a used whiskey barrel takes the Manhattan cocktail to new heights. 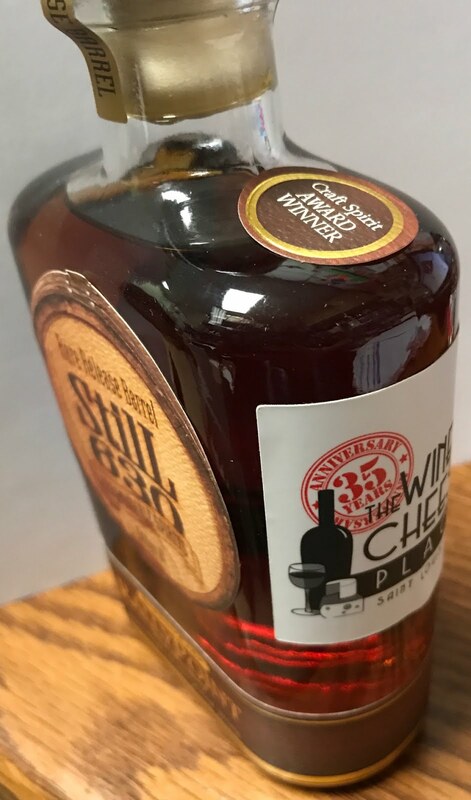 Made and aged at StilL 630 and released by The Wine & Cheese Place. For a delicious cocktail, simply pour over ice and enjoy!" Also taste this one that night too! Side Project just said they just bottled our next 35th Anniversary beer - and its called "35 Years". We supplied local distillery,Still 630, with a Pedro Ximenez Sherry Barrel and they aged their Rally Point Rye in the barrel (see whiskey below). After the whiskey was bottled, the barrel went to Side Project and they filled it with beer! And soon we will see "35 Years". This will go through the BRC. More details and dates as we find them out. The beer is now waiting on labels and approval.